Until now, the material design guidelines, which guides developers and designers for Android, Chrome OS, and the web on how to make an app that aligns with the respective platform, have only been available in English. 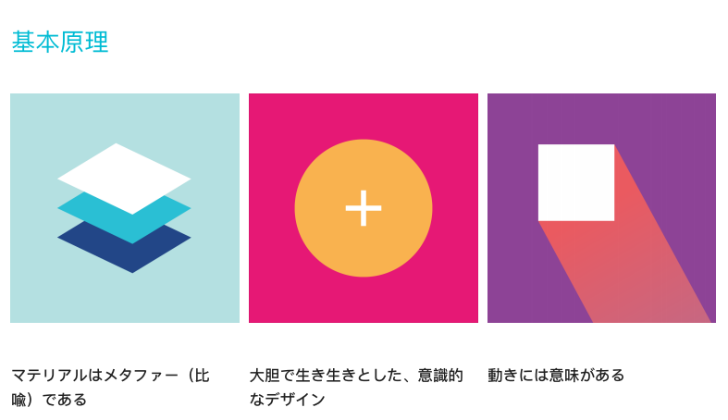 Right before SPAN 2016, a design conference tomorrow in Tokyo, the material design guidelines have appeared in Japanese, direct from Google. This version of the guidelines is a little different from the English copy. Instead of being available on the web and written in good ol' HTML and CSS, the Japanese translations are available as a series of PDF documents that are downloaded and available locally on your computer. This is presumably because someone has manually translated it all, rather than it being put through Google's clever AI-assisted translators, which were shown off yesterday at the #madebygoogle event. SPAN is a conference hosted by Google to promote discussion, thoughts, and conversation about design and technology. It's held every year in two different locations - last year was New York City and London, and this year is Tokyo and Los Angeles. The Tokyo edition is tomorrow, so these newly-translated guidelines must be very welcome to Japanese designers and developers. The Japanese translations of the material design guidelines can be found here, while more information about SPAN 2016 Tokyo is available on the dedicated site.